On Earth, layers comprising the geological record of an area are most often exposed by fluvial erosion, as a river cuts through rock (a typical example is the Grand Canyon). 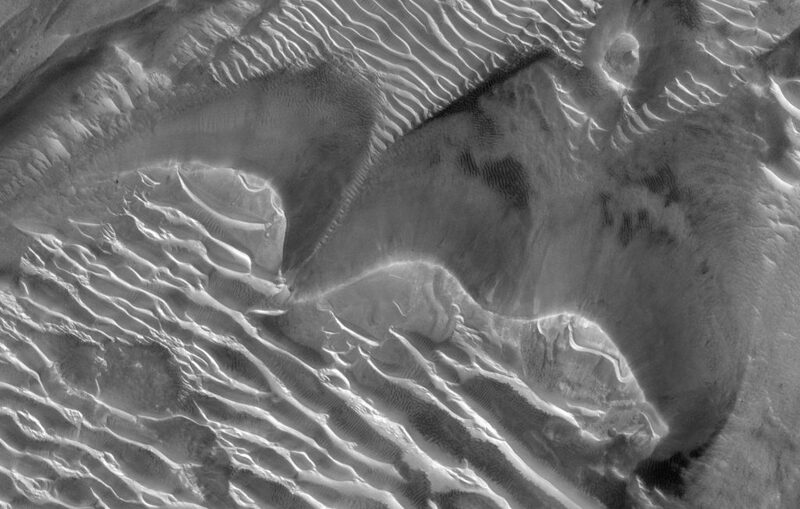 On Mars, fluvial channels are not so common (especially in the past few billion years). 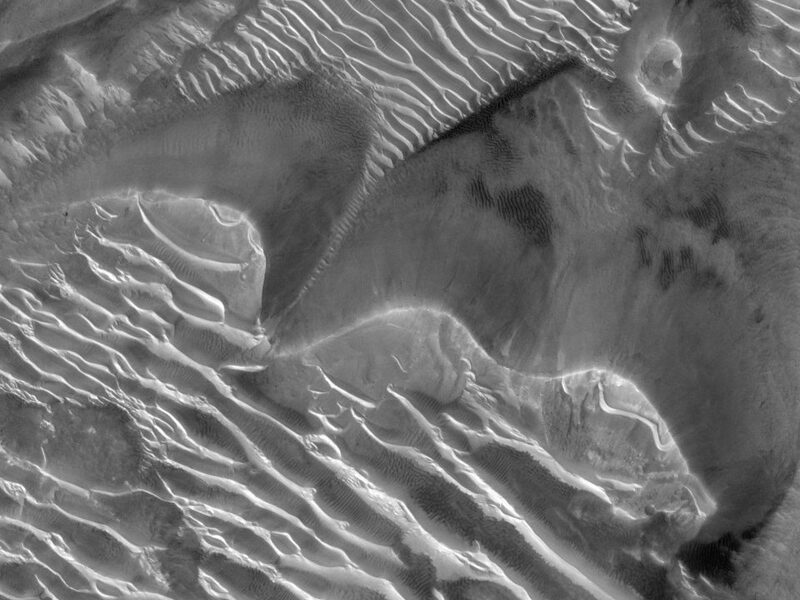 But the wind has relentlessly worked away at the surface, sometimes revealing strata laid down long ago. Click on the image for more detail. 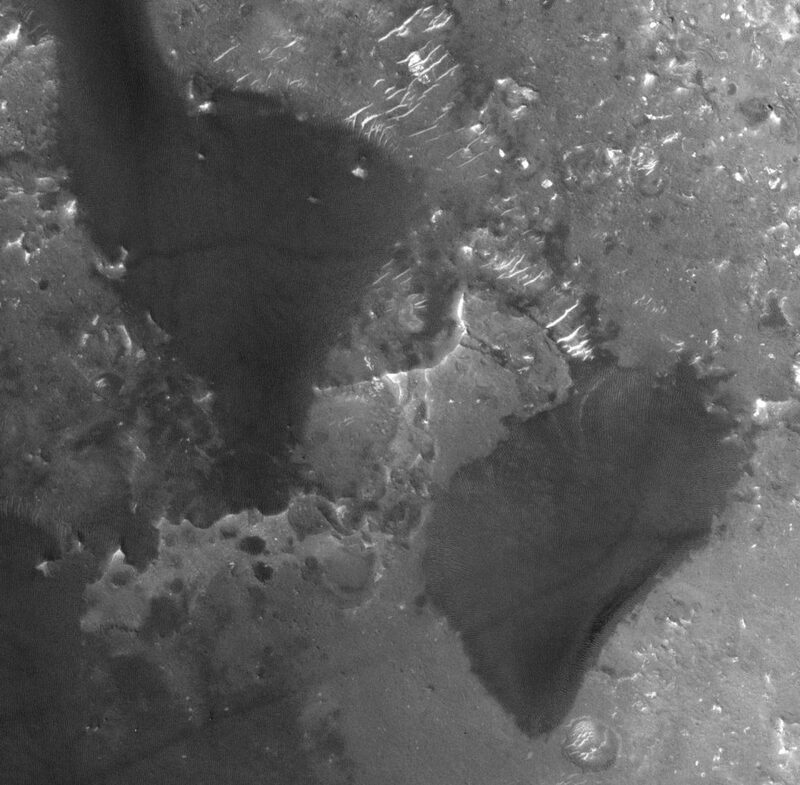 This is a tiny bit (0.5×0.375 km, or 0.31×0.23 mi) of the side of an “Interior Layered Deposit” in the middle of Candor Chasma, called Juventae Mensa. 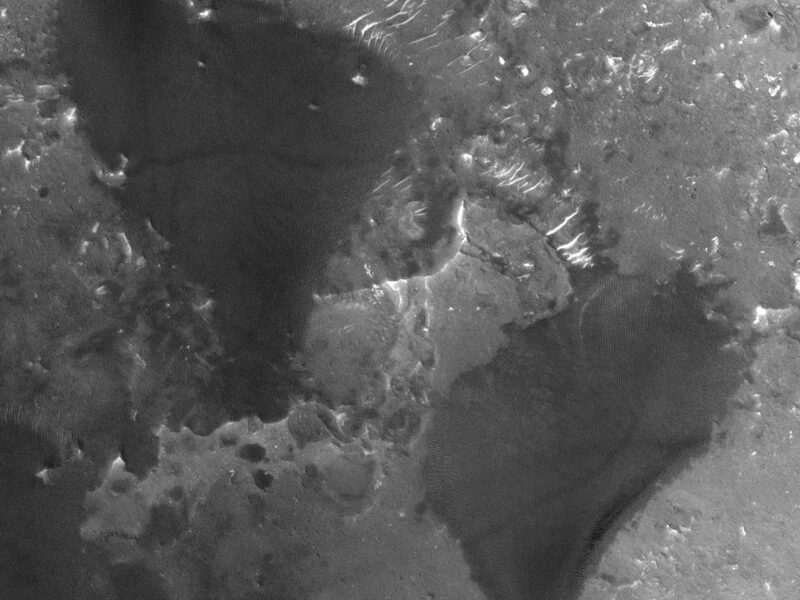 Wind blowing from the upper left and upper right has eroded the whole area, eroding and exposing a bunch of layers. 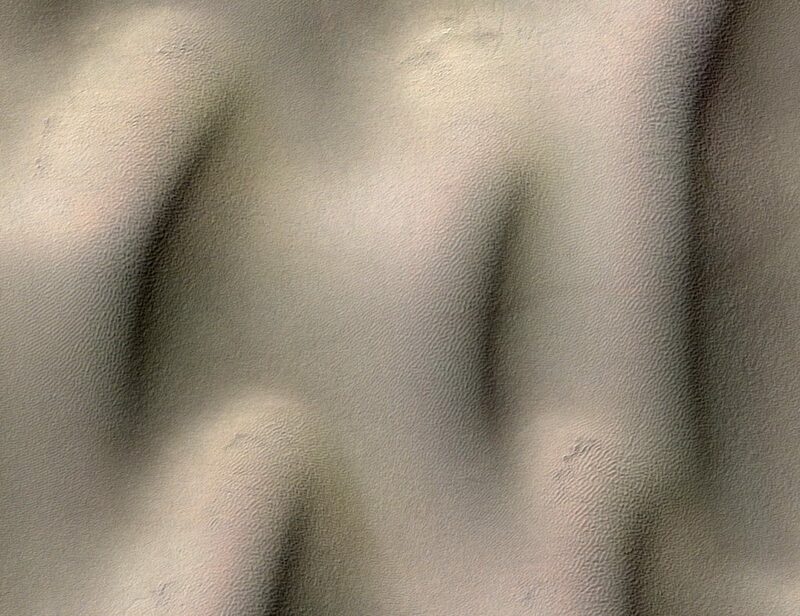 For some reason a bit of those layers is a little more resistant to erosion, where the wind has left behind a tiered hill (technically it’s a sort of yardang). Each step on the hill is probably a few meters high – these are steps for a giant. 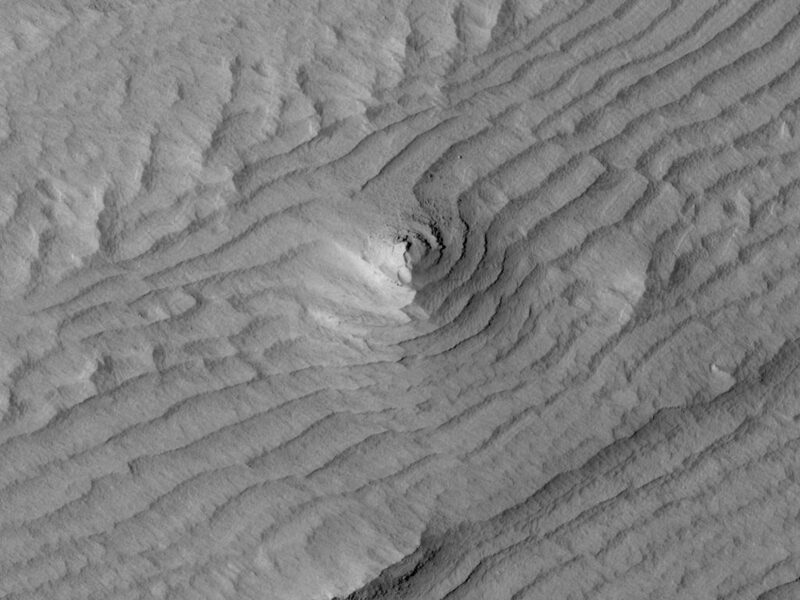 You can see the layers because a lot of material has been eroded away – once those layers were underground, and Juventae Mensa was probably a much broader feature than it is today (today it’s about 100×50 km, and 2-5 km tall). 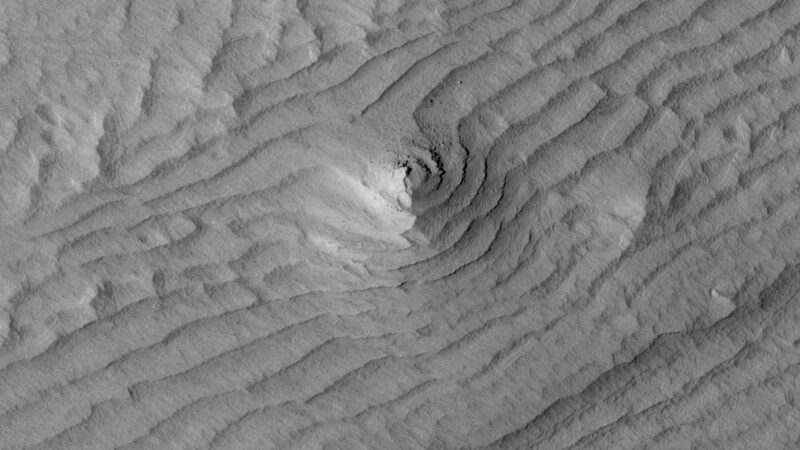 Eventually the wind will erode away the little tiered hill too, along with the rest of the layers. Where does the eroded stuff go? Nobody knows yet. What formed those layers in the first place? That’s still a matter of debate, with possible answers ranging from sub-glacial volcanoes to lake deposits to airfall dust accumulations. Points to you if you can find the fault!